The Aerotrek™ A220 and A240 are factory-built two-seat aircraft manufactured by Aeropro CZ in Europe. 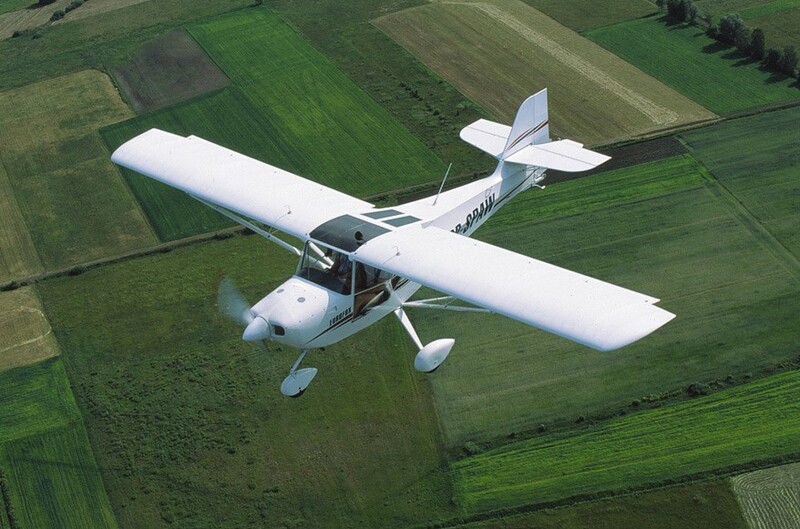 Aeropro has been producing aircraft since 1990 with now over 500 aircraft now flying around the world. 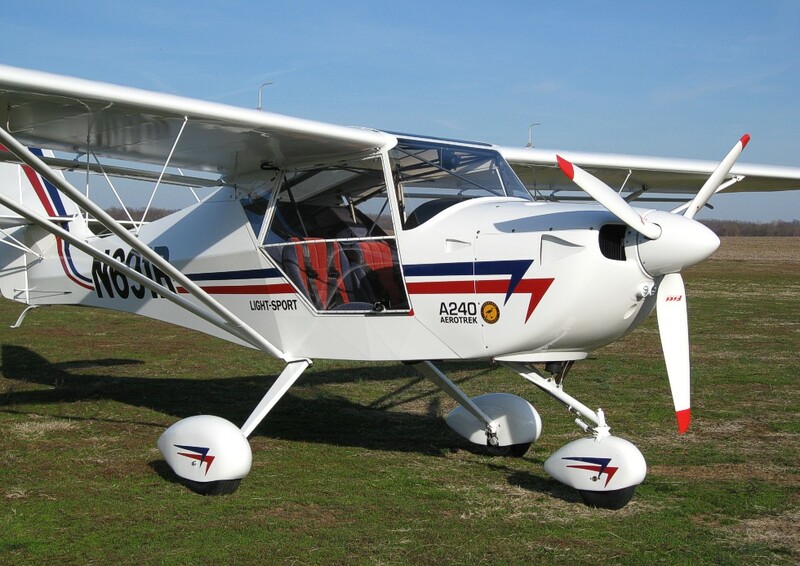 The Aerotrek A220-A240 are modern designs with excellent performance and features -- built with the finest workmanship and materials resulting in a completed aircraft of the highest quality. 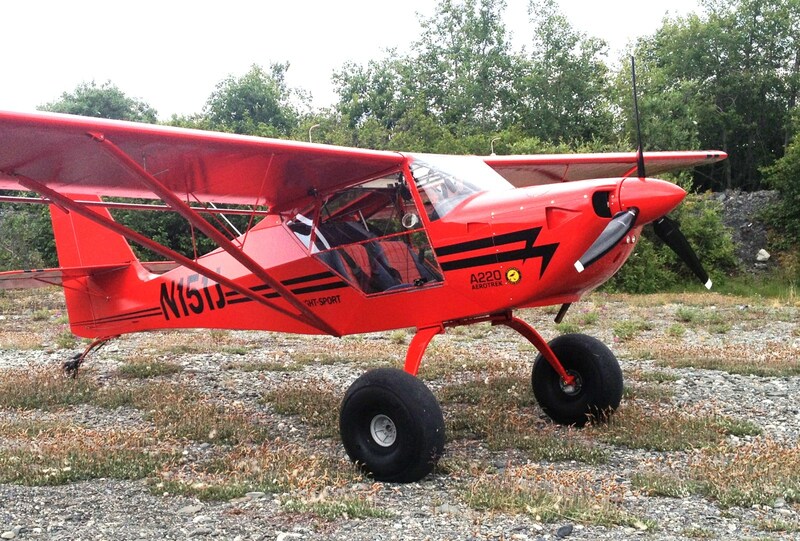 Our A240 is available with standard tires (with wheel pants), or with larger tundra tires, or with "biggie" tundra tires. 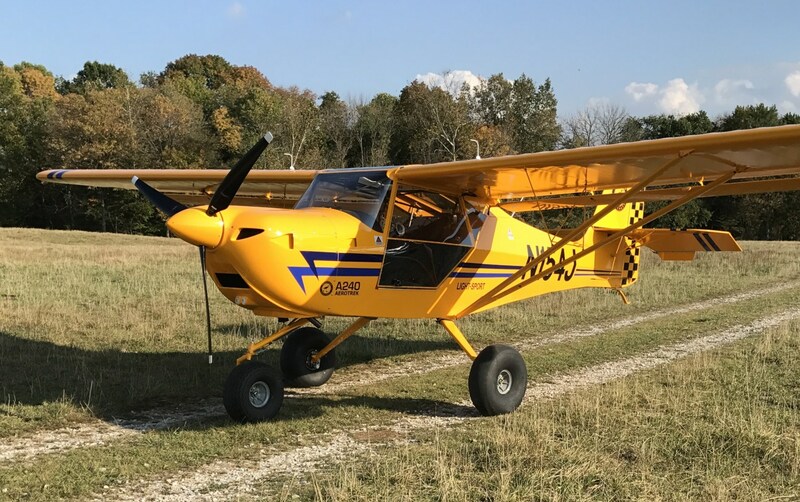 The best thing is with our A240 the plane can be switched back and forth between standard tires and big or biggie tires very quick and easy. 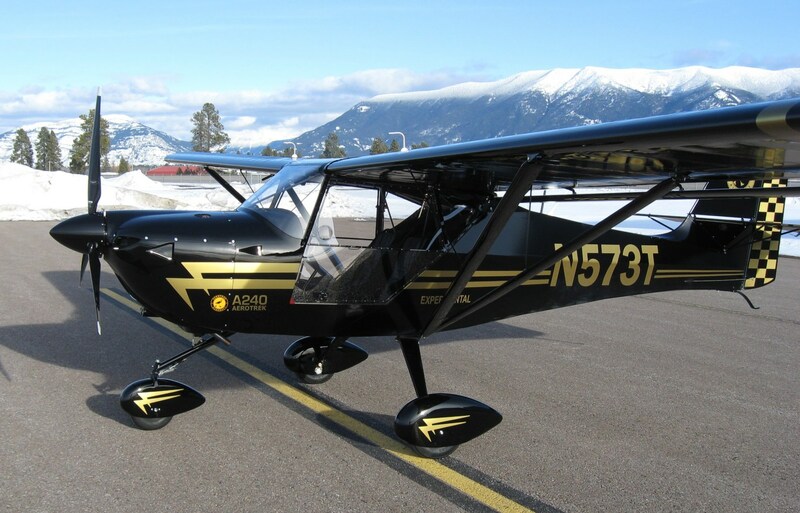 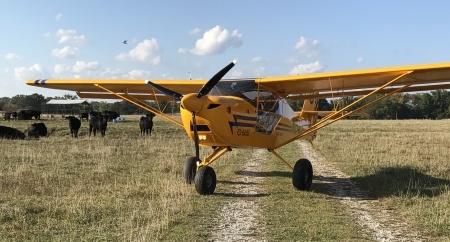 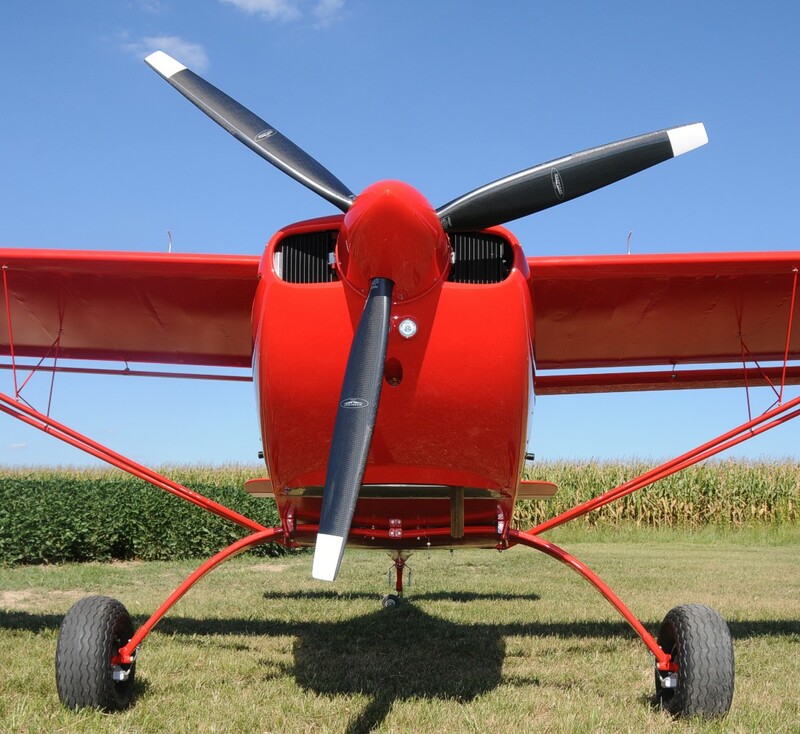 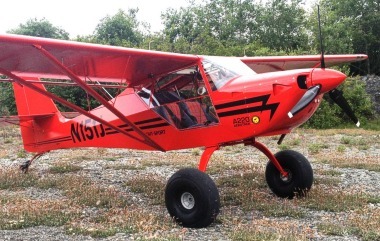 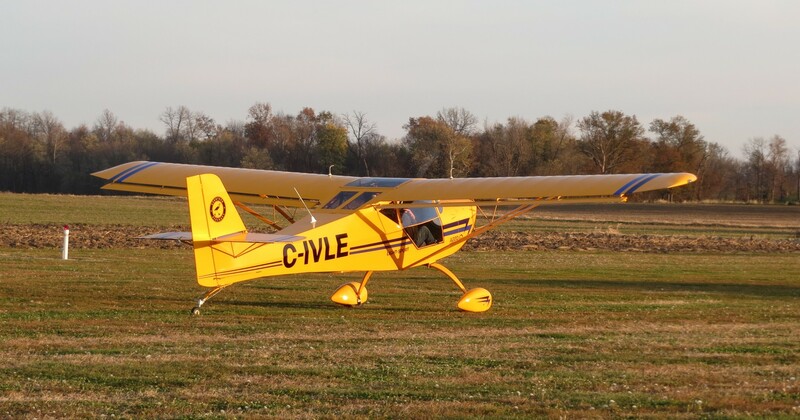 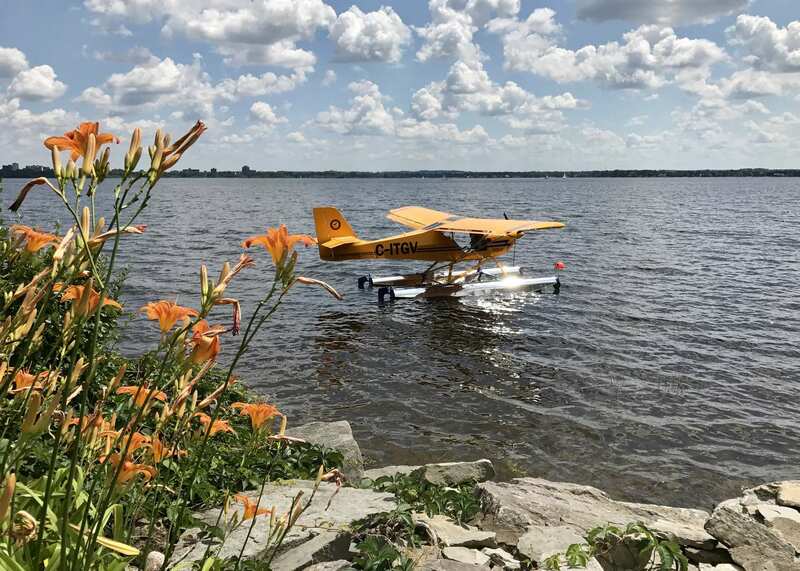 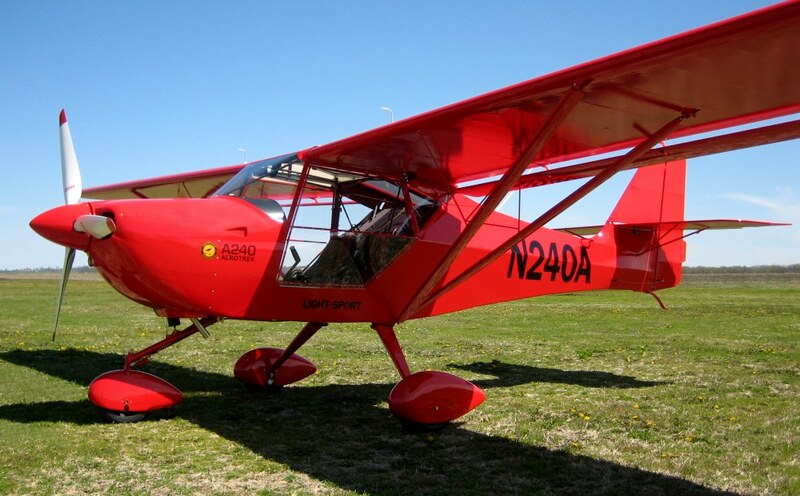 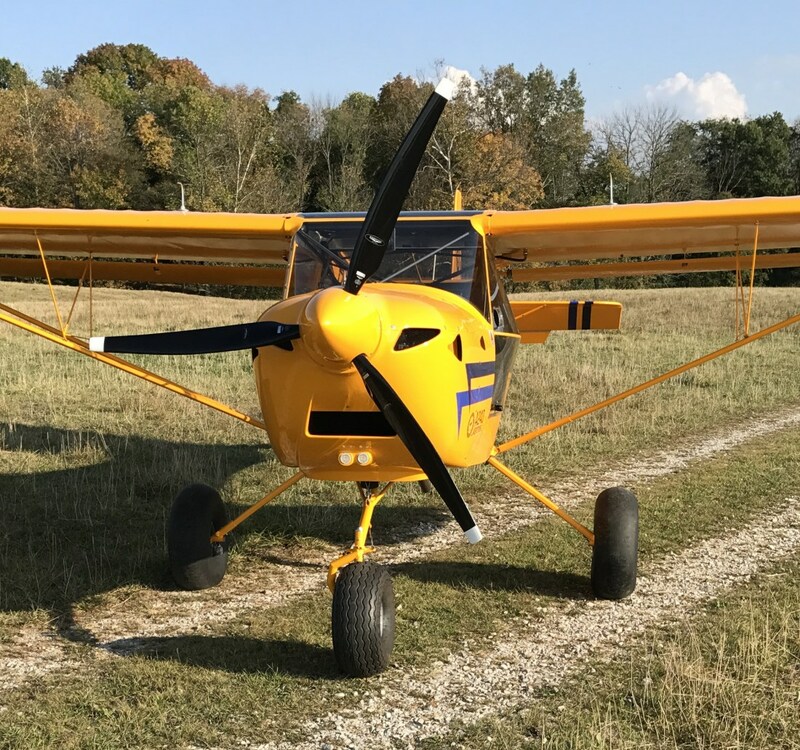 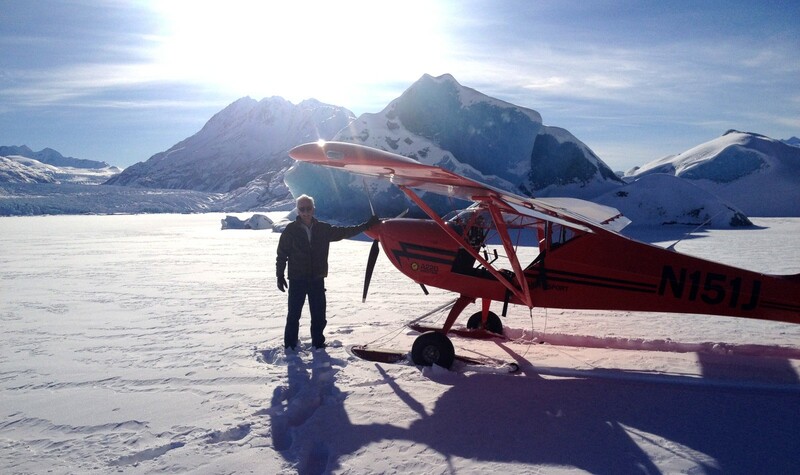 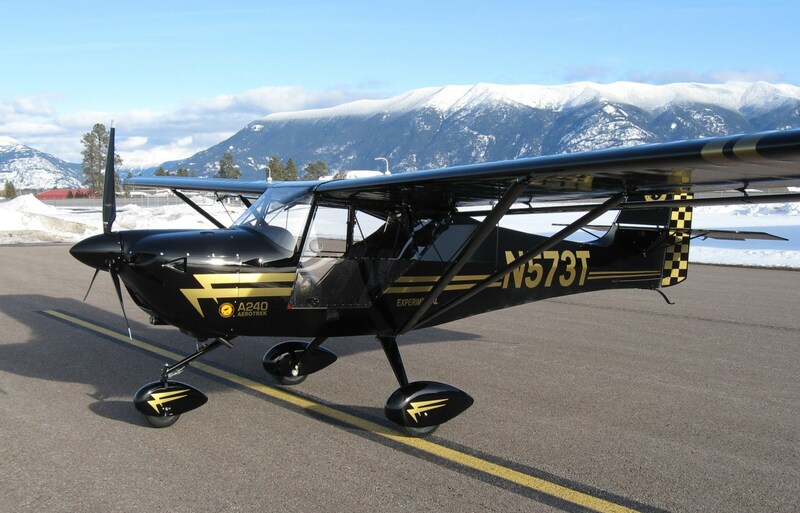 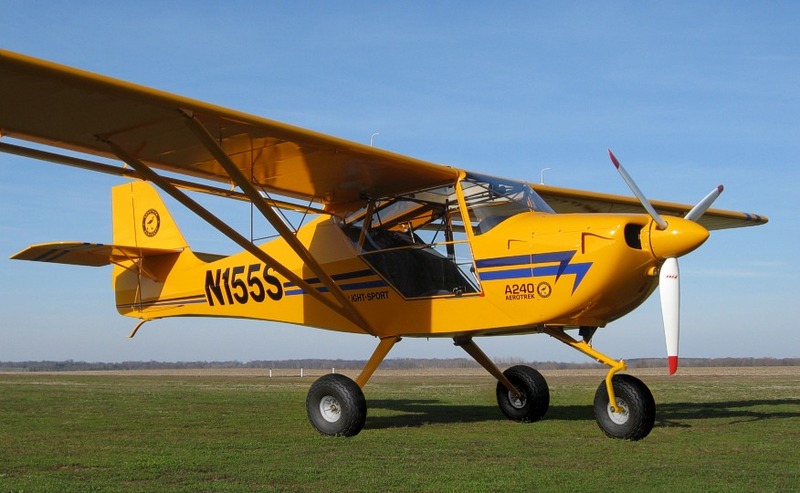 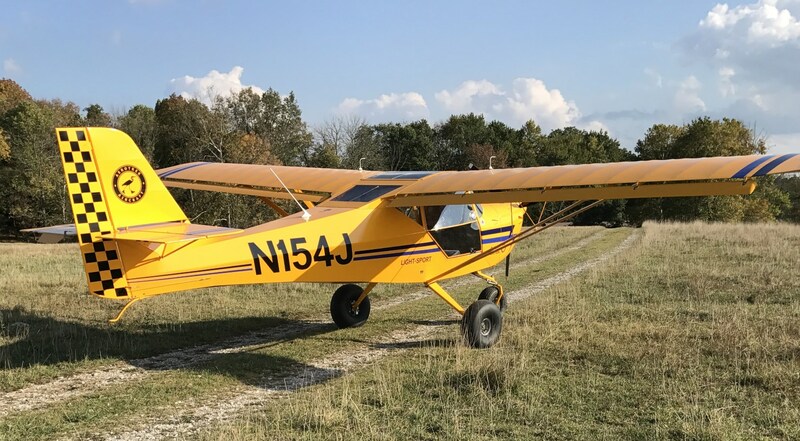 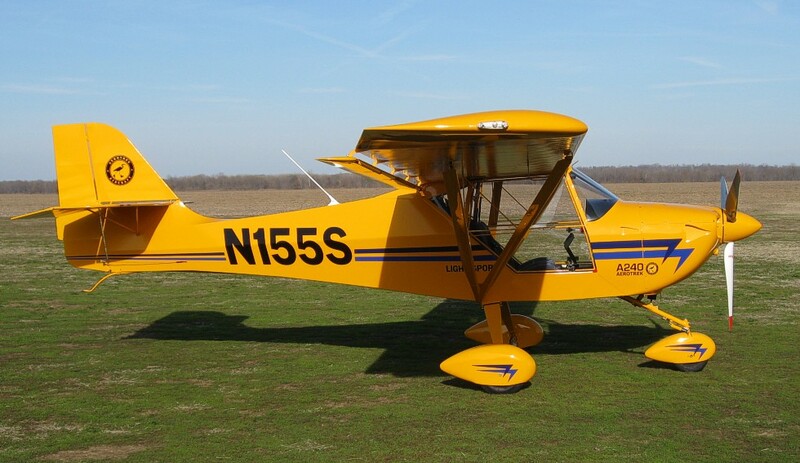 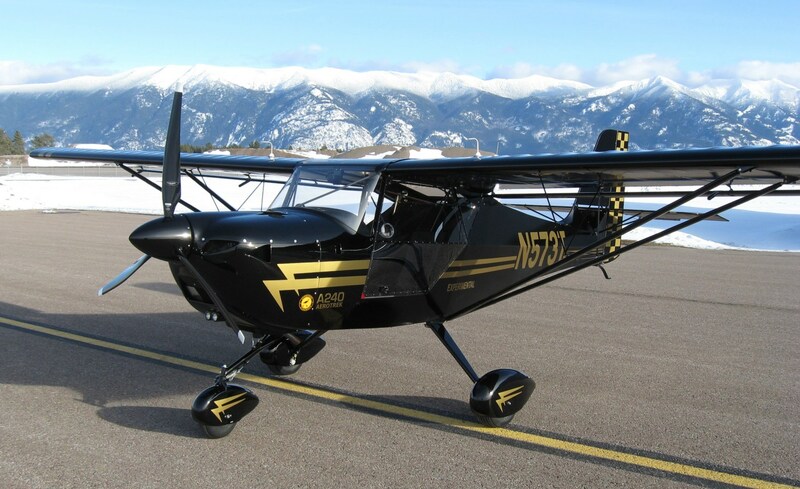 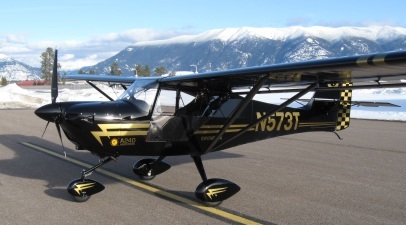 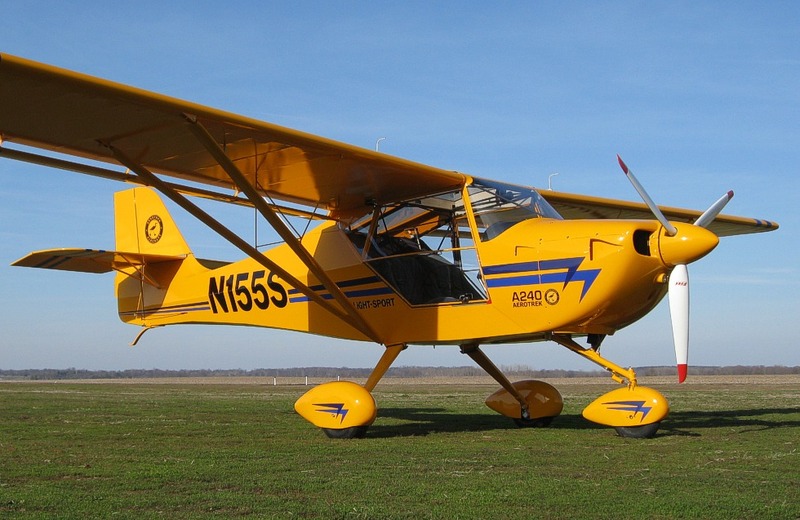 Our A240 has very sturdy front suspension and with the tundra tires, our A240 has very good "bush plane" capabilities on softer or rougher fields. 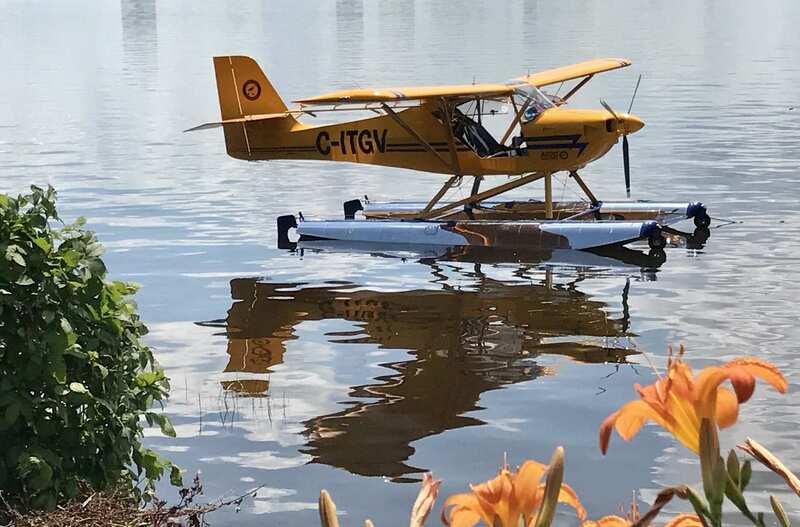 Aerotrek A220 on amphibious floats! 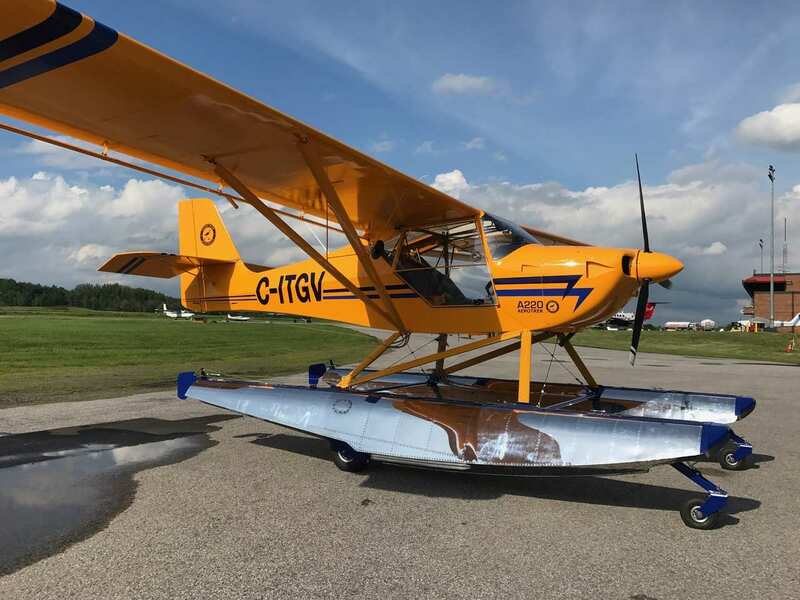 Our A220 on aluminum amphib floats. 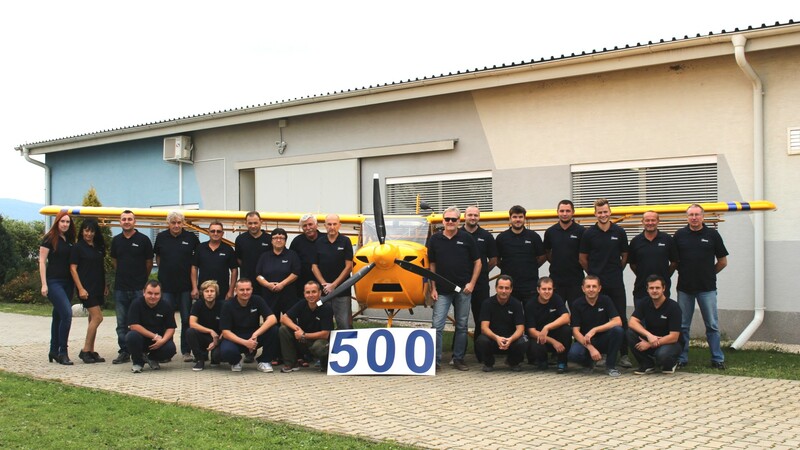 500th aircraft produced by Aeropro! The Aeropro factory has completed their 500th aircraft! 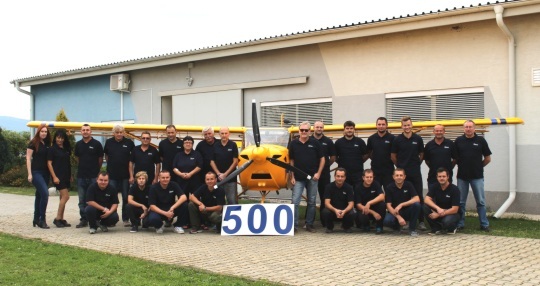 The photo on the right shows the 500th aircraft produced and with some of the factory personnel. 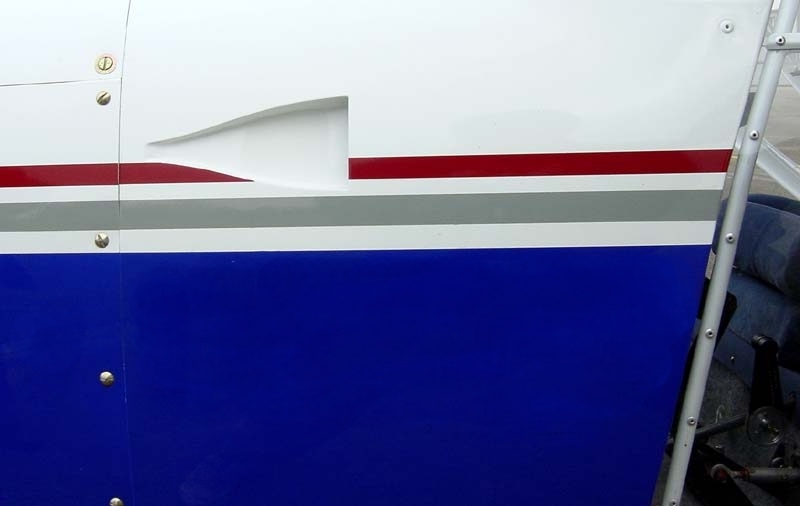 Don't let our great price fool you! 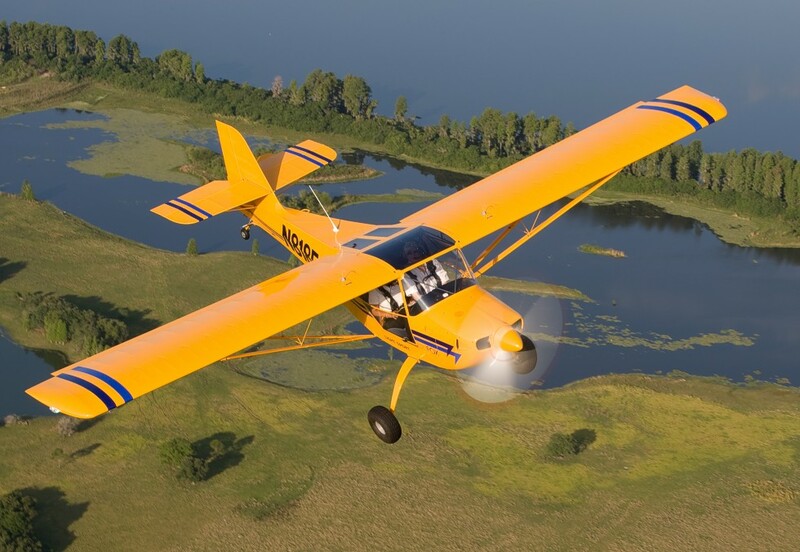 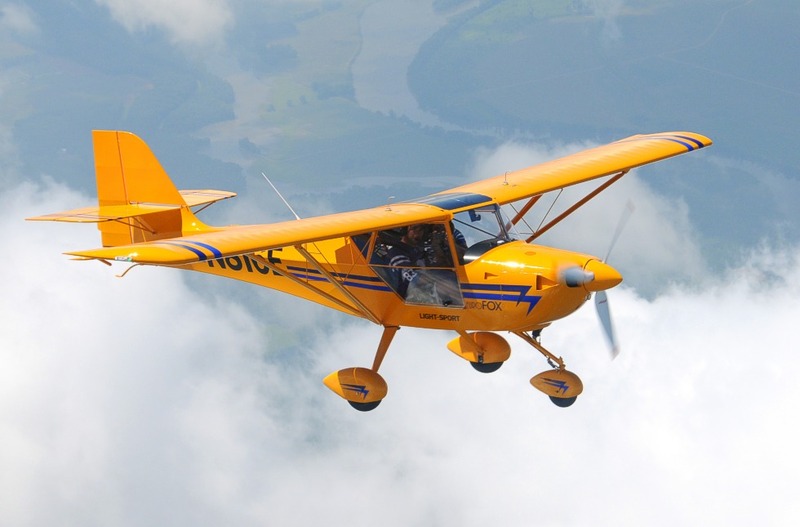 The Aerotrek A220-A240 are factory-built aircraft that are manufactured efficiently in series-production by a fine company that has been producing light aircraft for over 20 years -- well above the average for manufacturers in this industry. 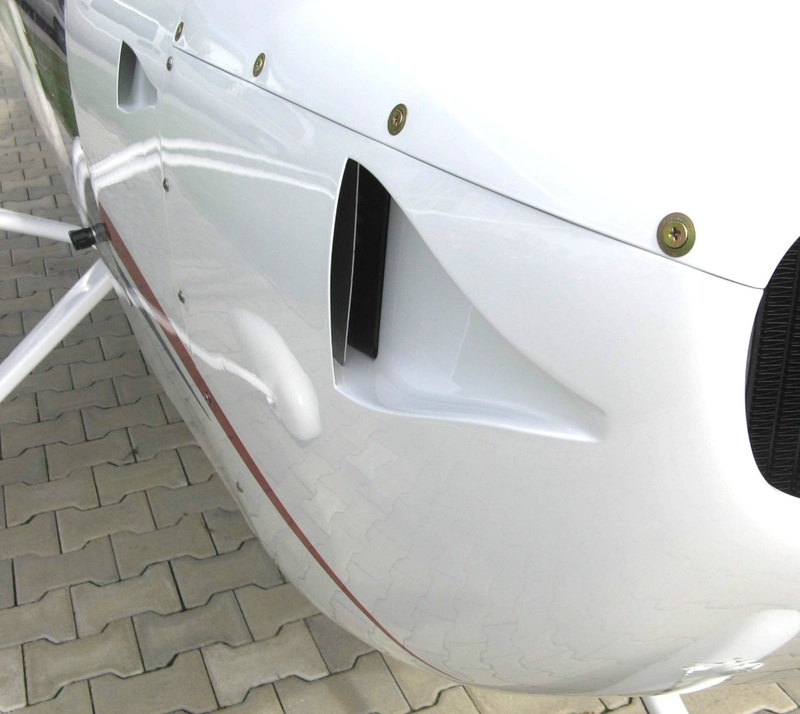 Then, Aerotrek provides the A220-A240 aircraft "distributor-direct" without the high mark-up involved in going through a dealer network. 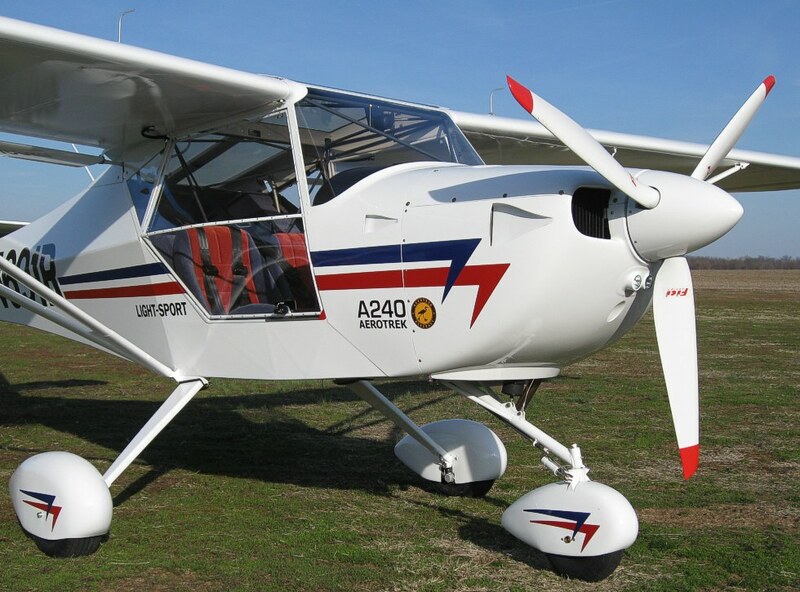 As a result of the best efforts of the factory and Aerotrek, the A220-A240 are priced "very reasonably" and not over-priced like so many S-LSA planes that are now on the U.S. market! 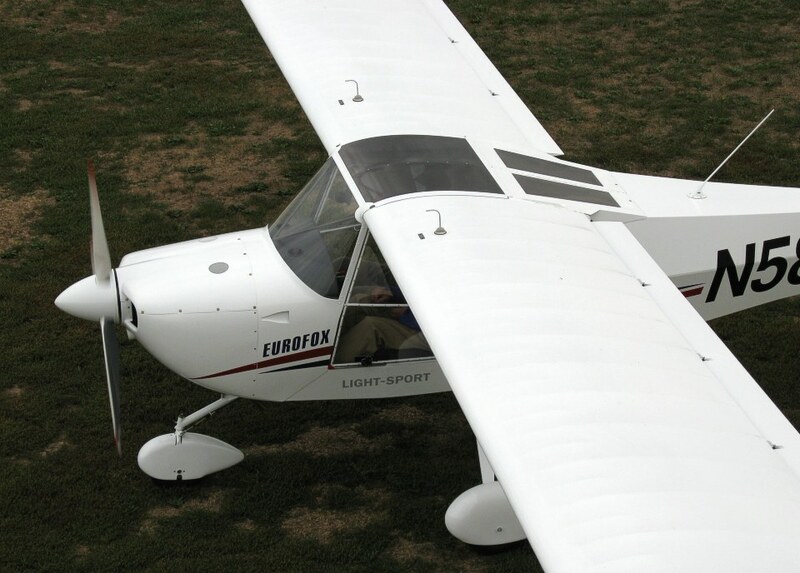 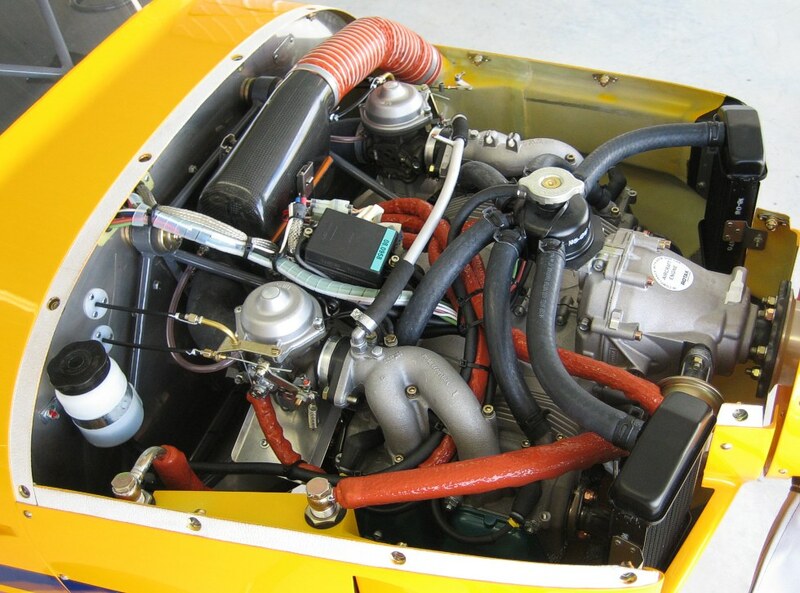 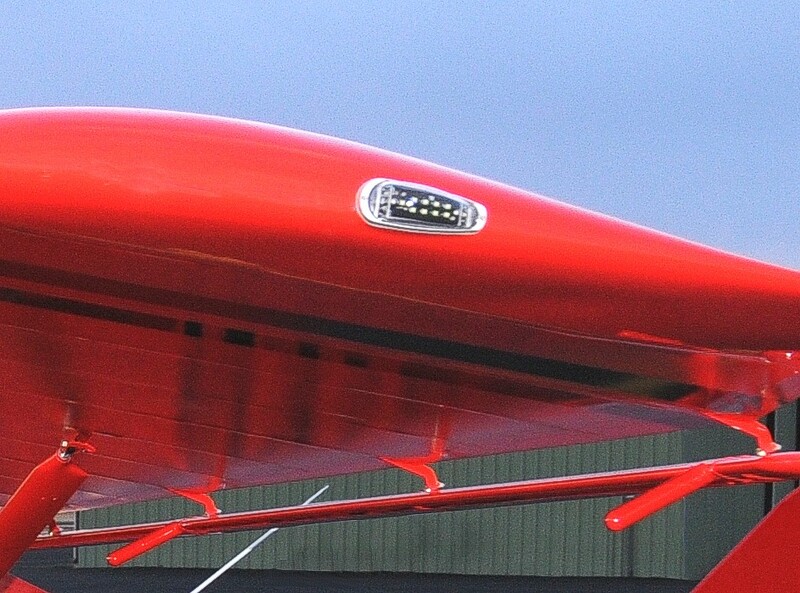 The Aerotrek A220-A240 are aircraft intended to work ideally under the new "Sport Pilot / Light Sport Aircraft" rules. 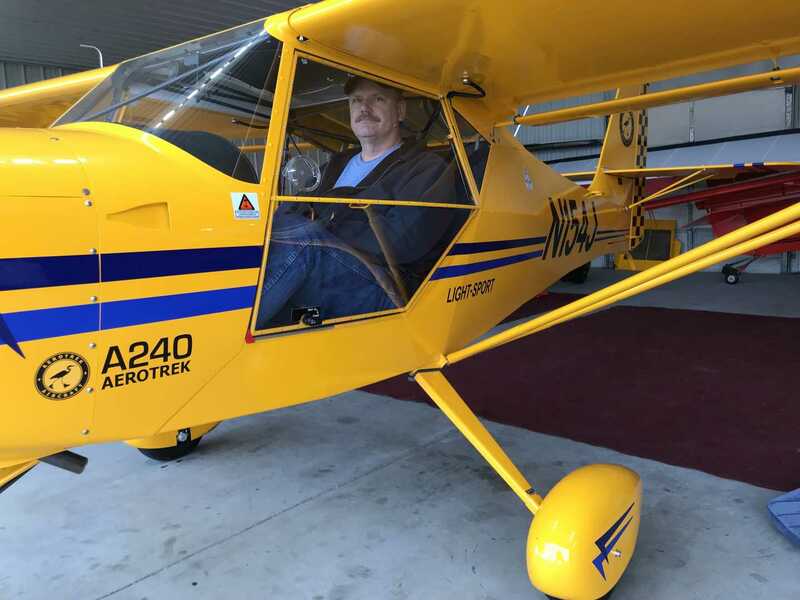 With the Aerotrek A220-A240 aircraft having S-LSA approval, they can be flown by existing Private and Recreational pilots (who are not required to maintain an FAA Medical Certificate to fly aircraft in the LSA category), but also by people holding the new "Sport Pilot" license. 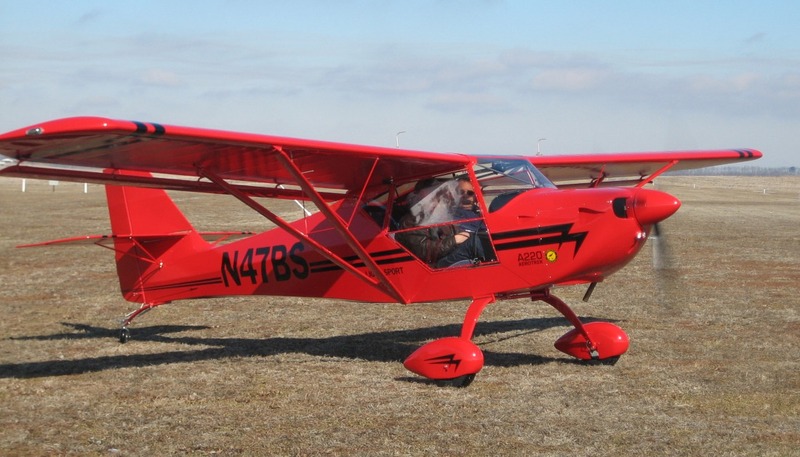 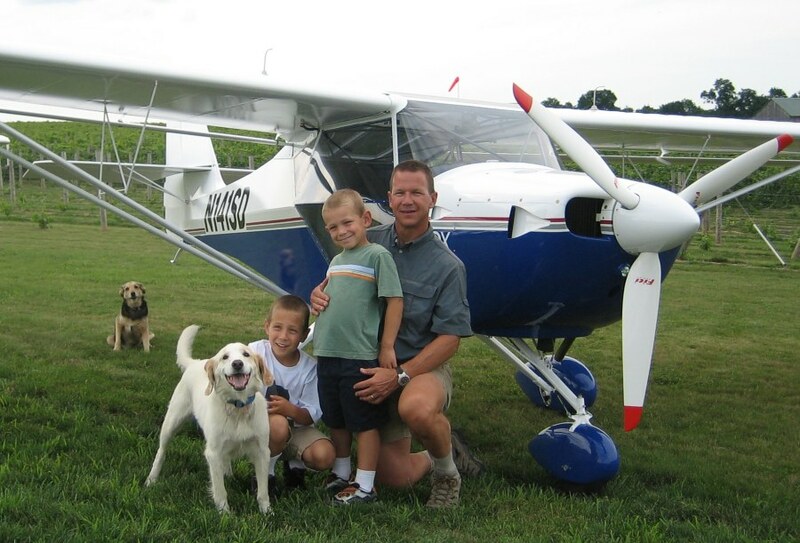 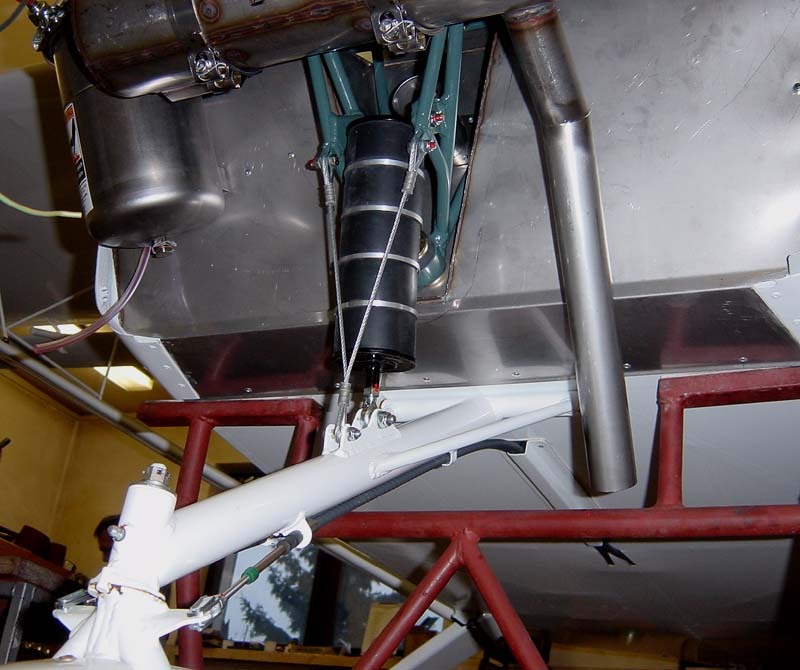 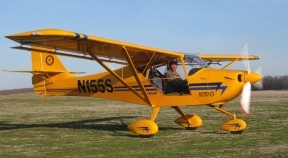 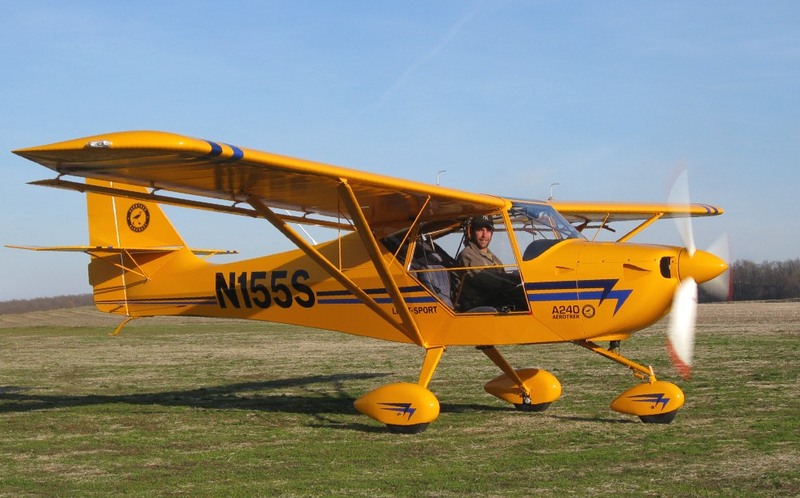 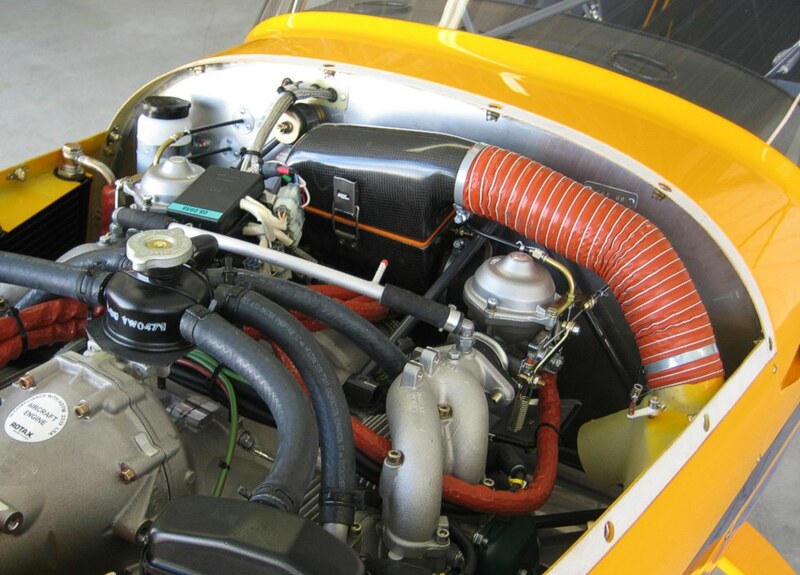 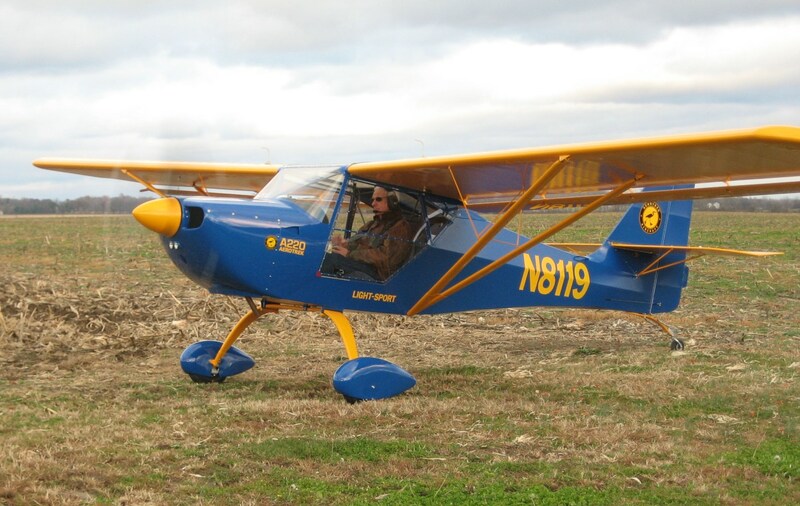 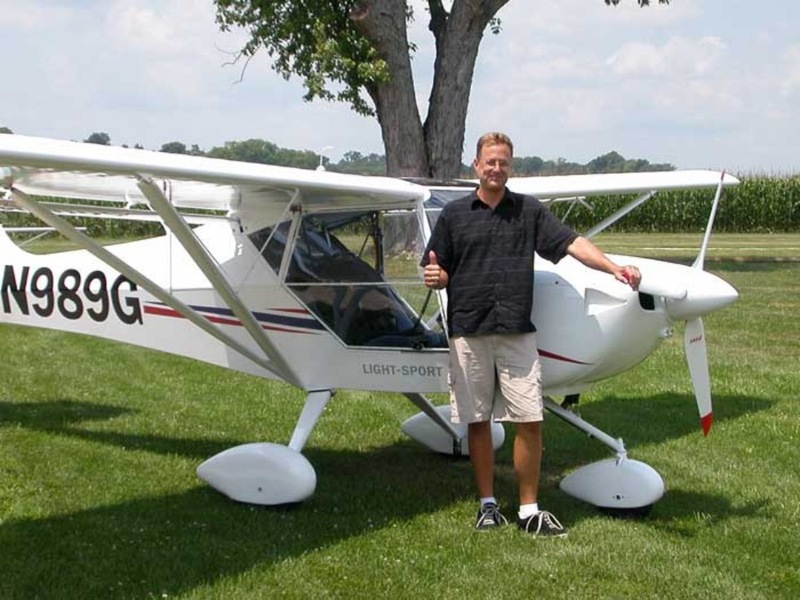 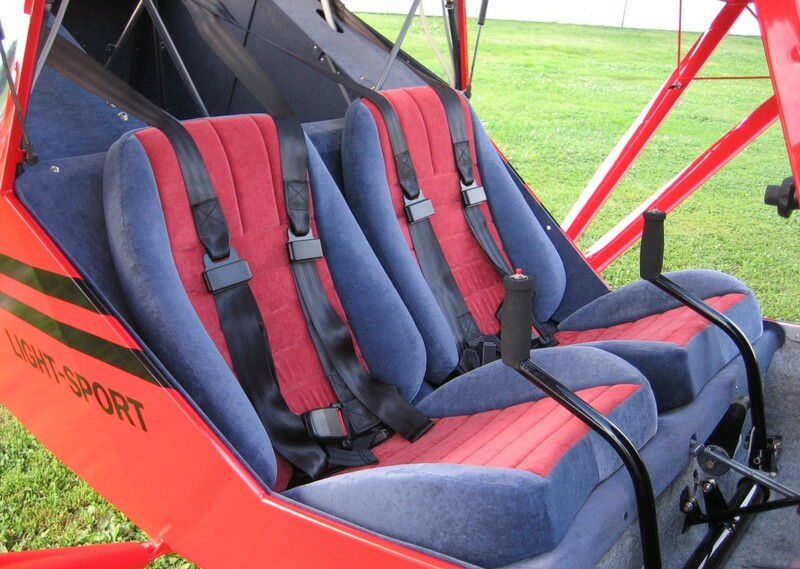 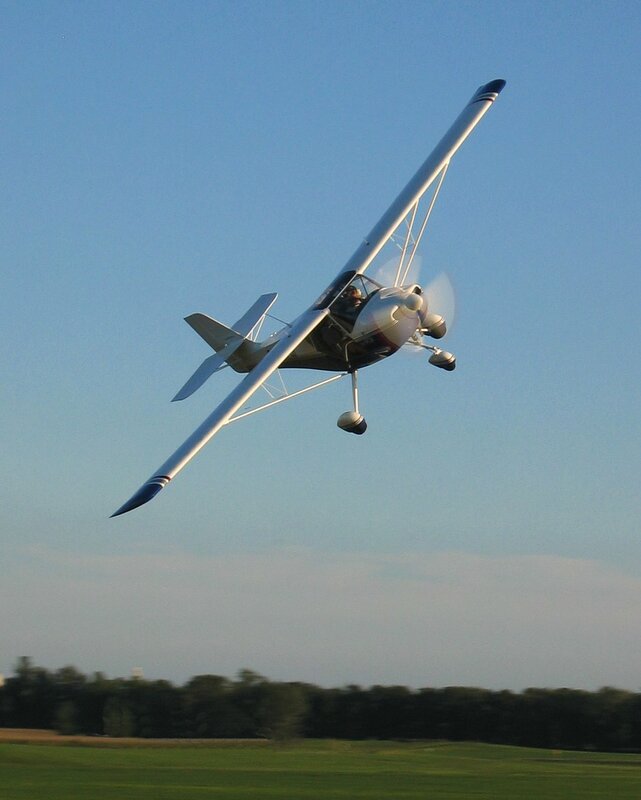 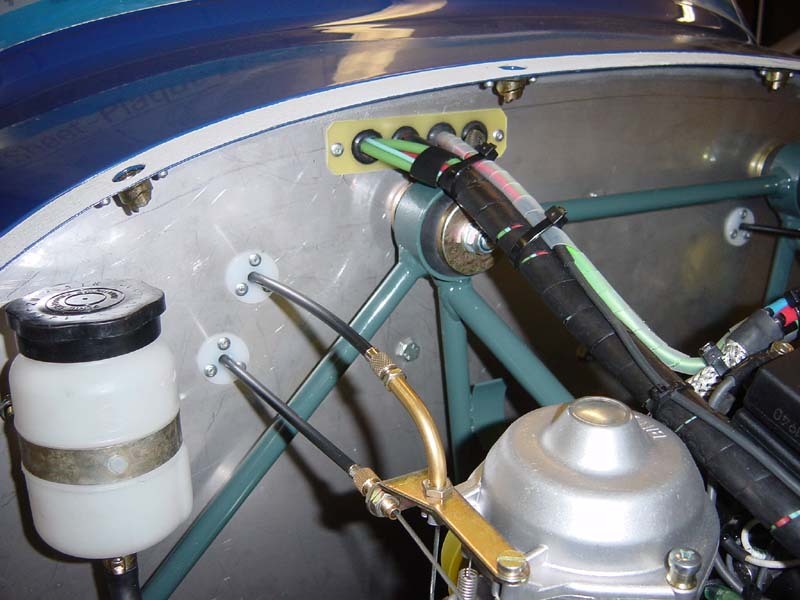 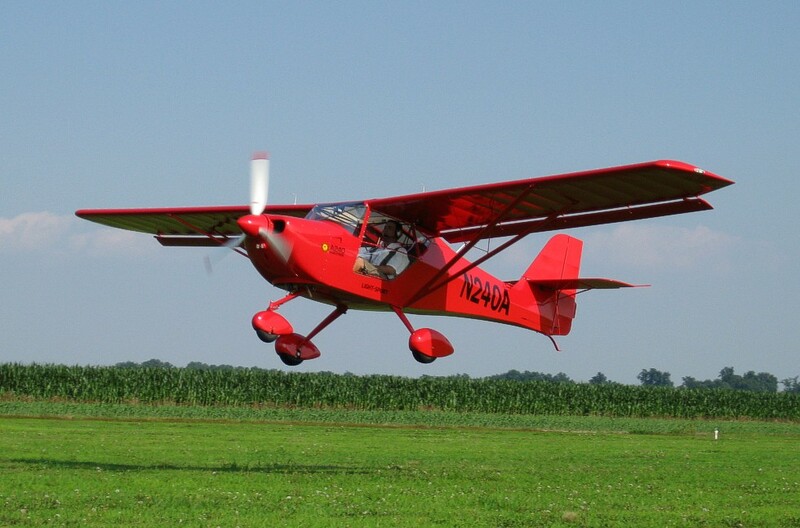 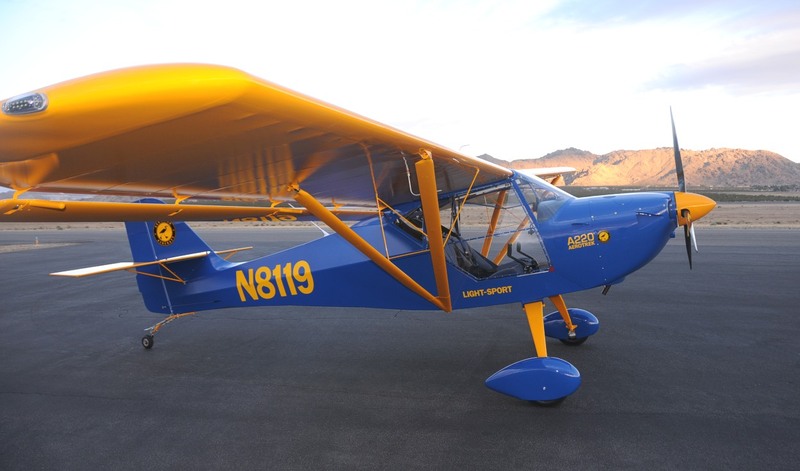 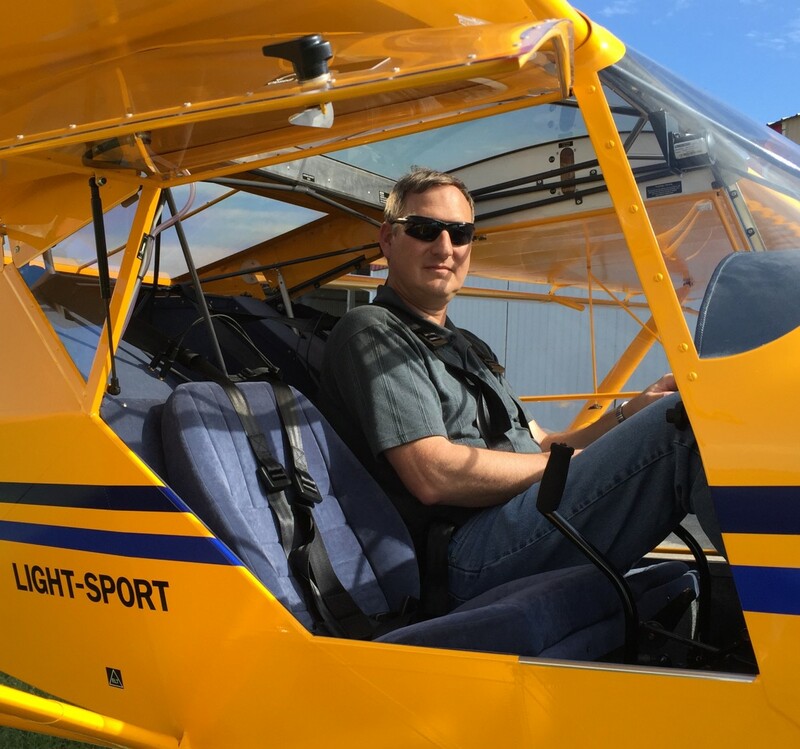 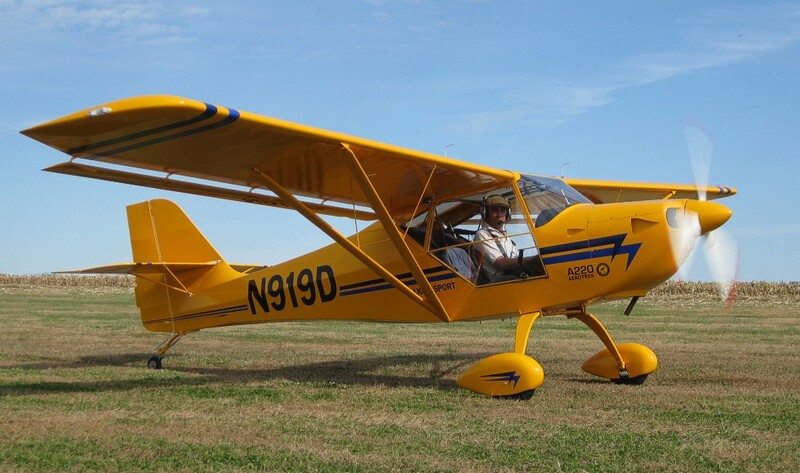 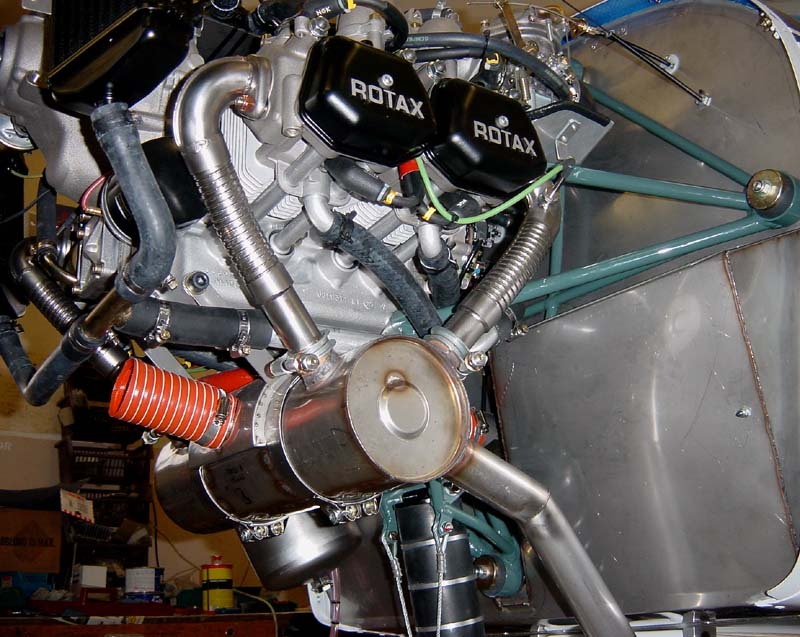 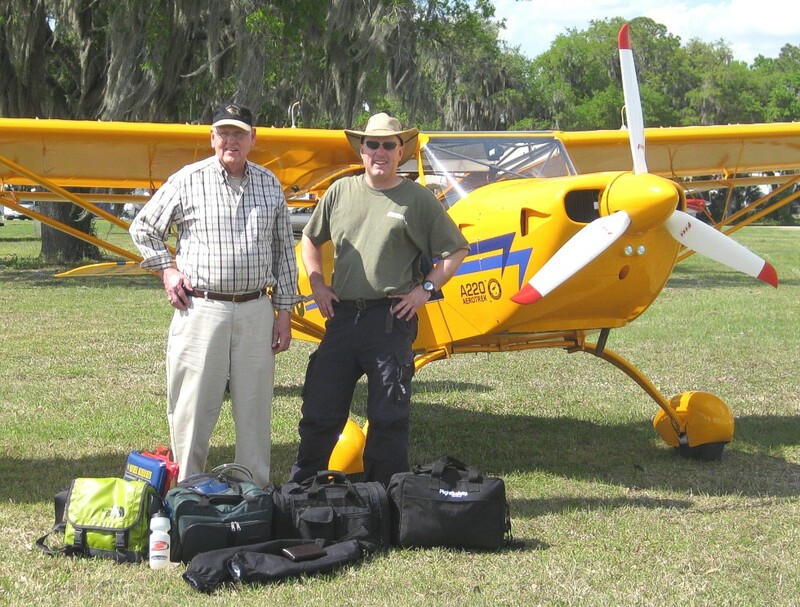 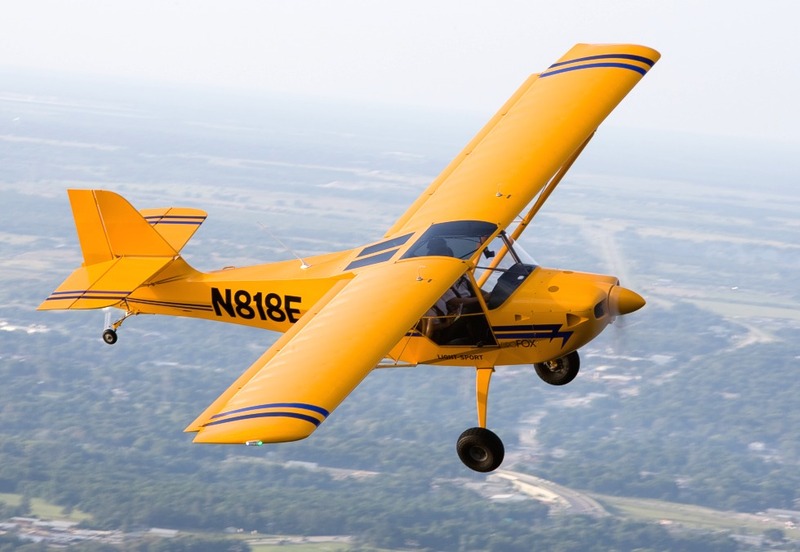 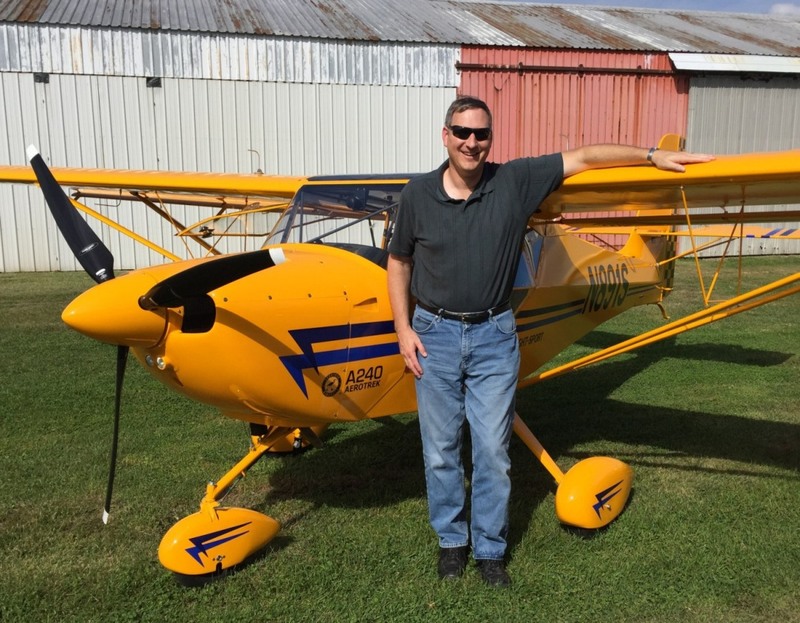 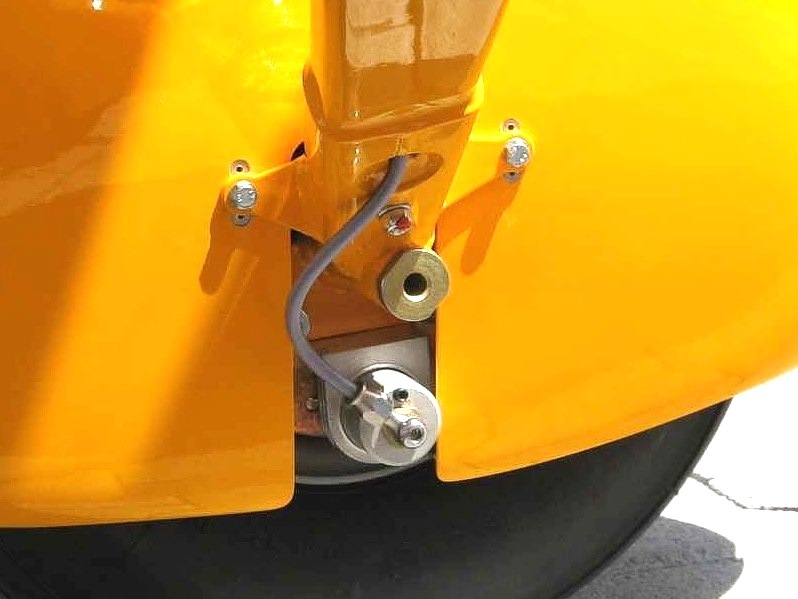 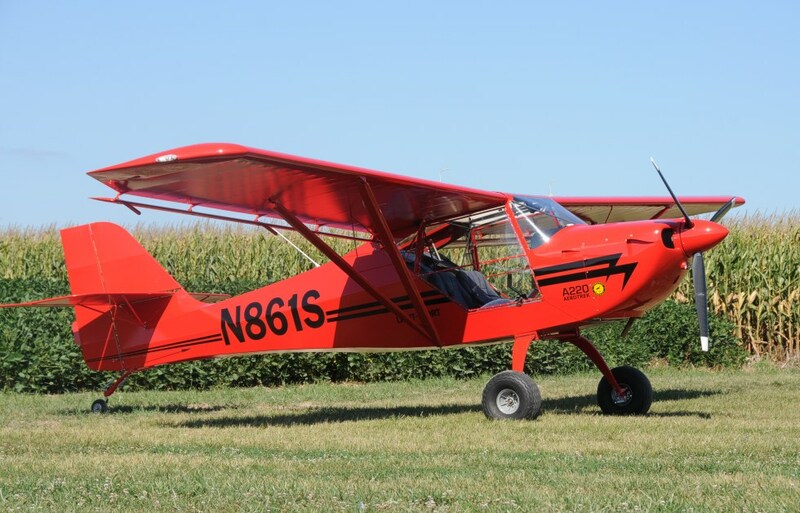 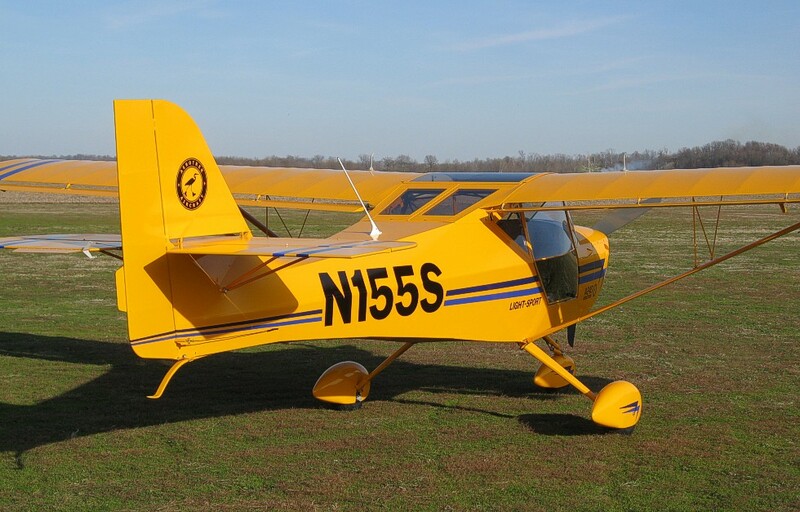 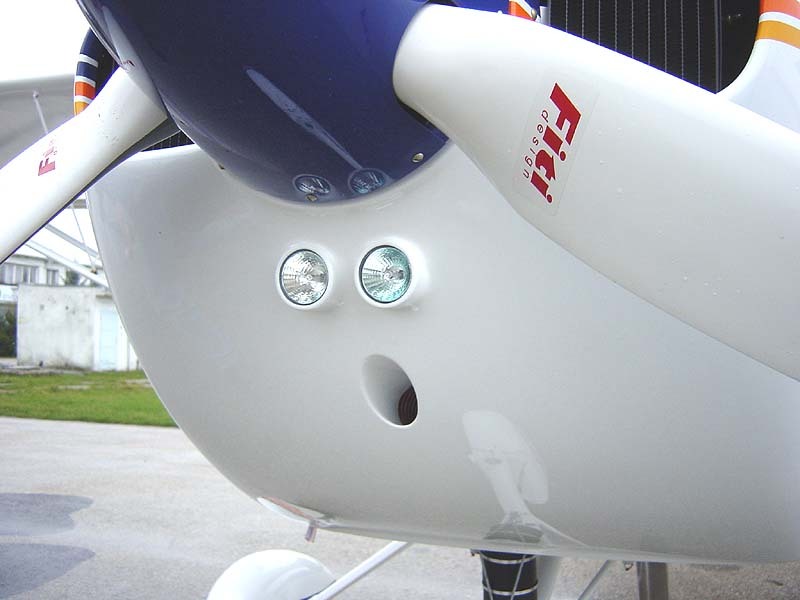 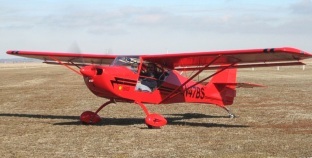 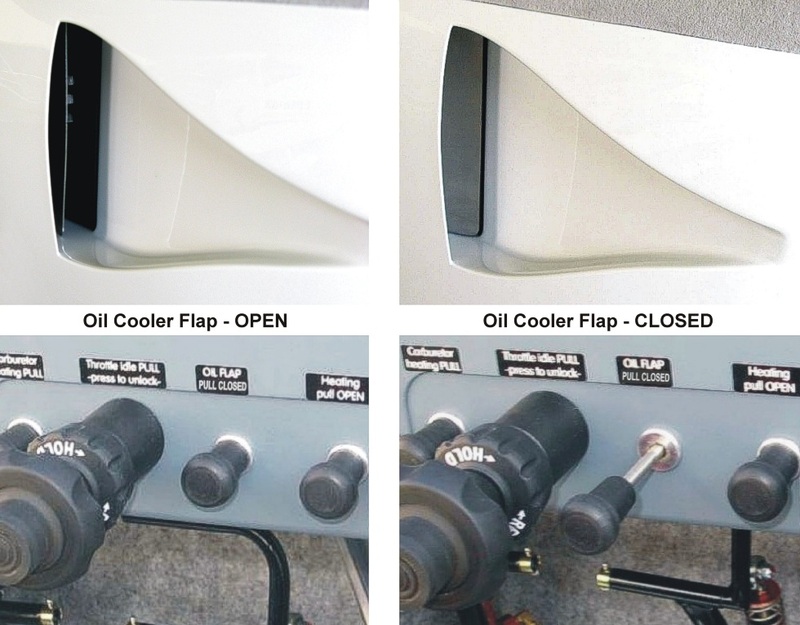 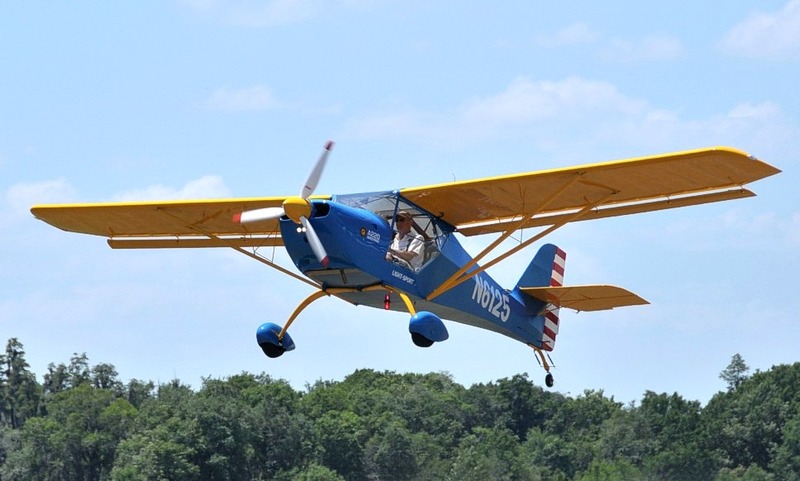 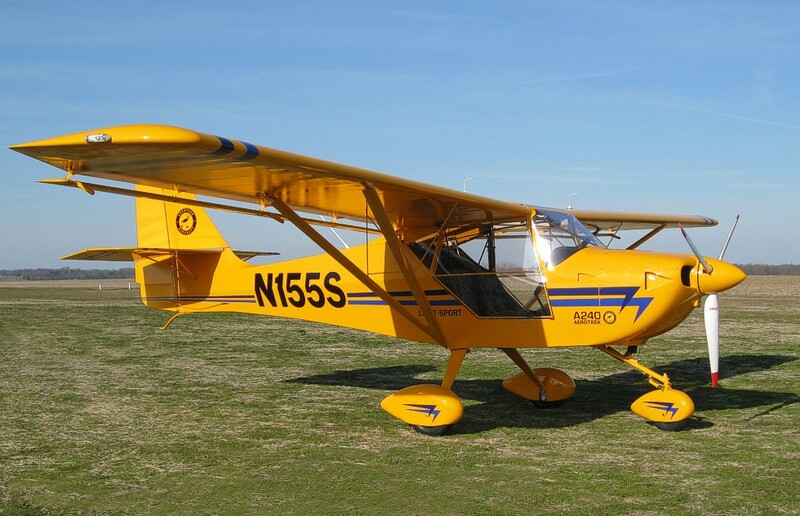 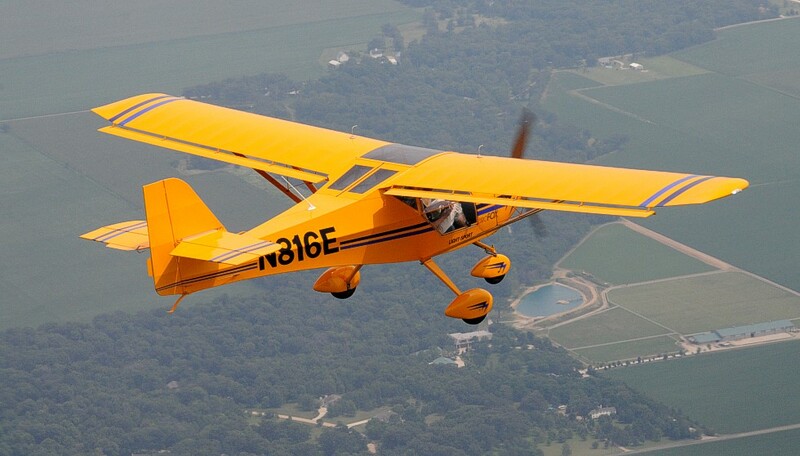 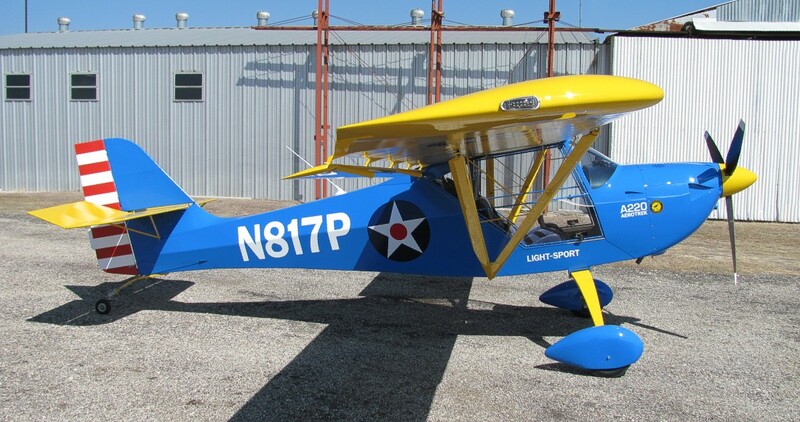 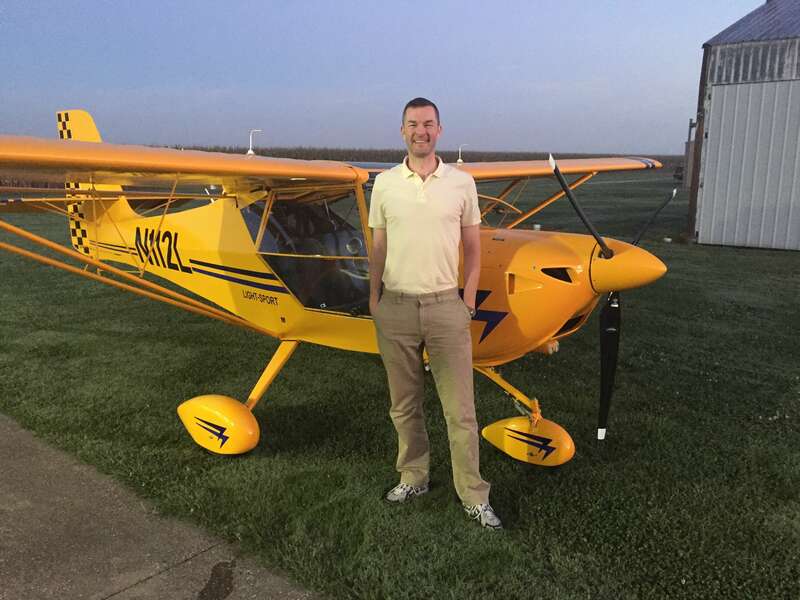 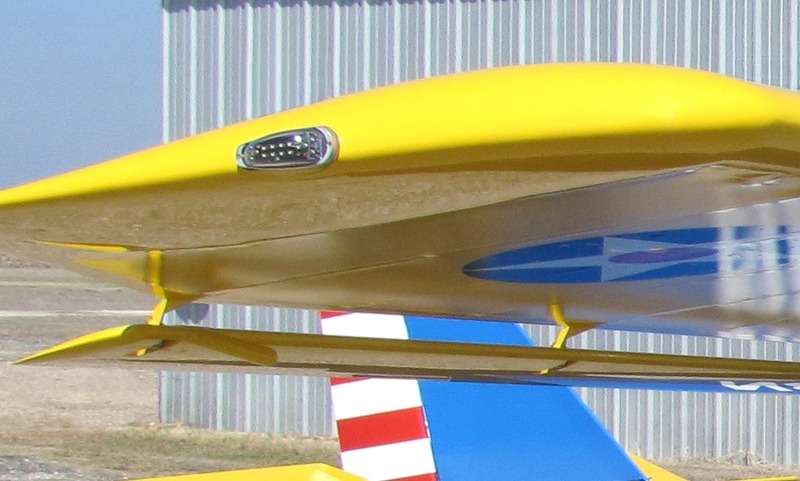 For info about the "Sport Pilot / Light Sport Aircraft" rules, visit the EAA www.sportpilot.org web site. 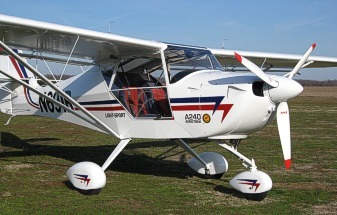 Aerotrek A220-A240 features and equipment . 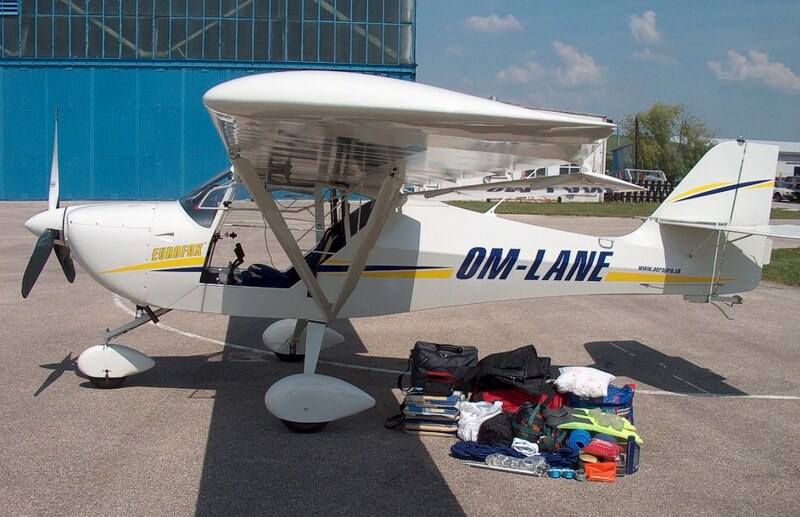 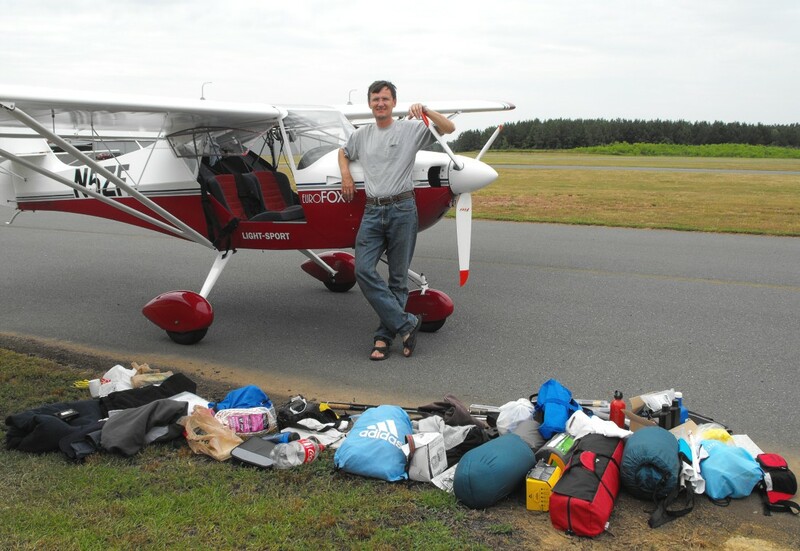 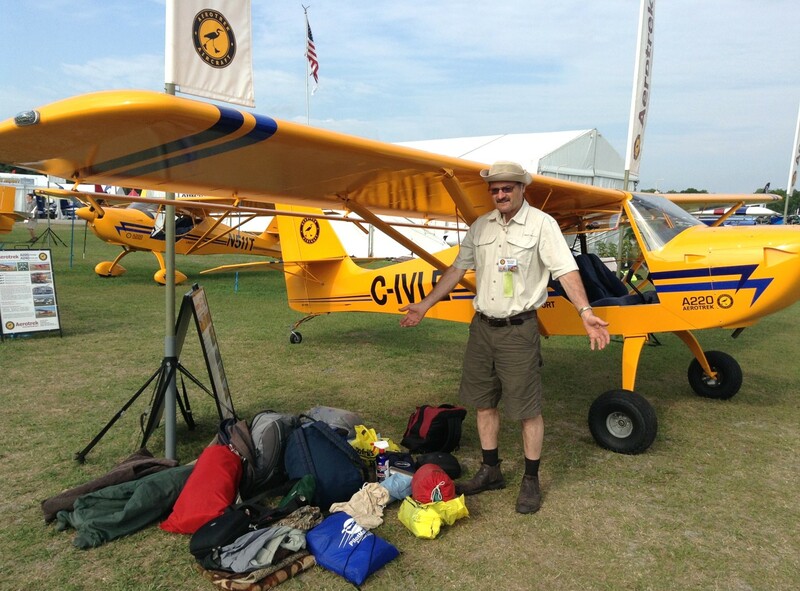 . .
quick-folding wings -- just a one-person, 10-minute job! 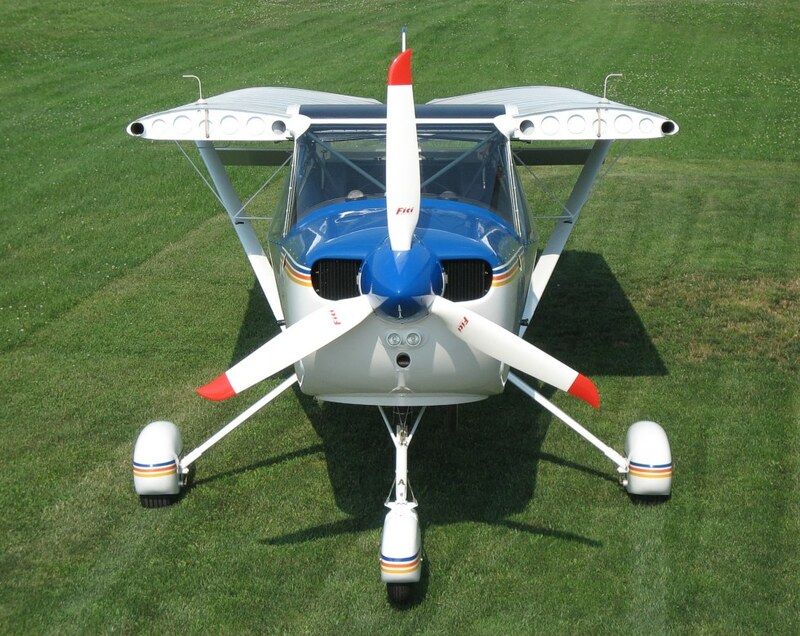 the Aerotrek A220-A240 aircraft are easily trailerable! 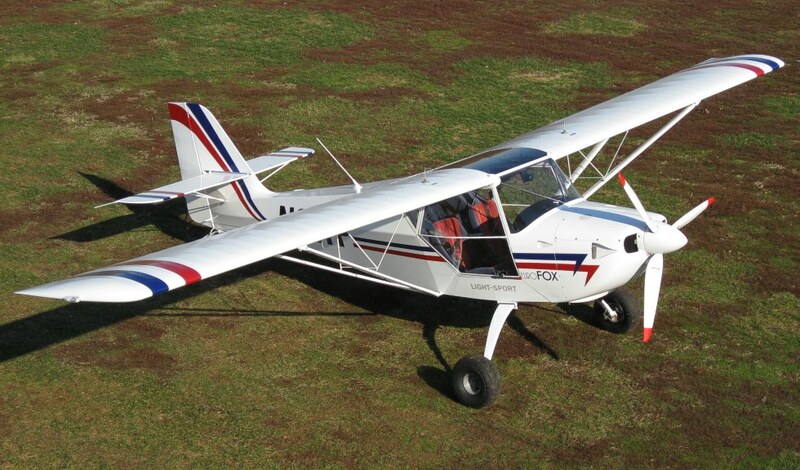 the Aerotrek A220-A240 aircraft are factory-built and test-flown and delivered completely checked-out and ready to fly! 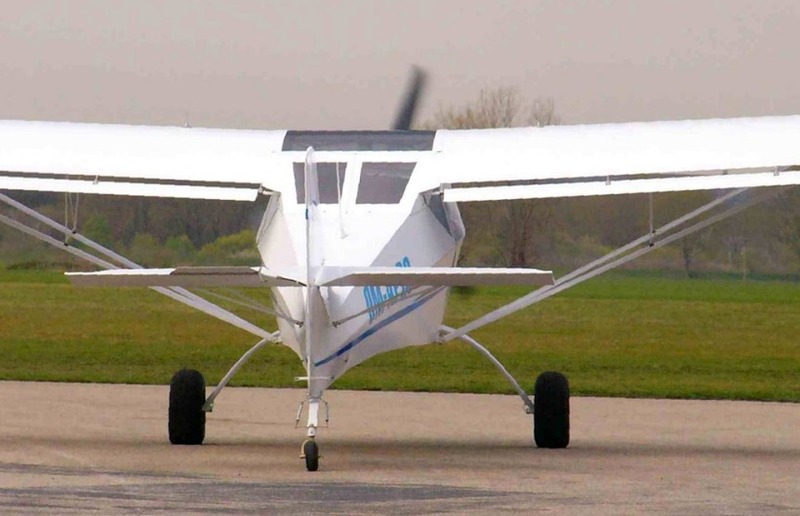 Aerotrek A220-A240 specifications and performance . 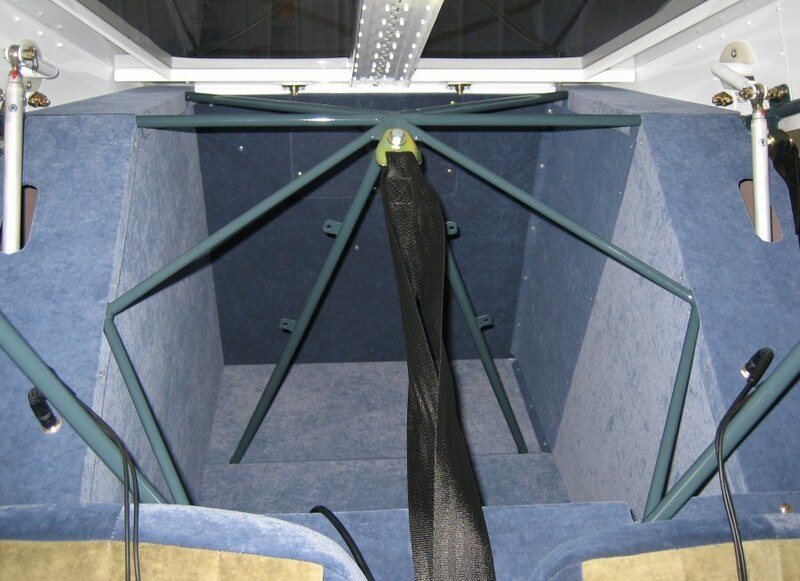 . .
maximum gross weight 1235 lbs. 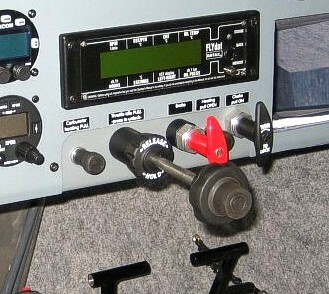 the Aerotrek A220-A240 instrument panel . 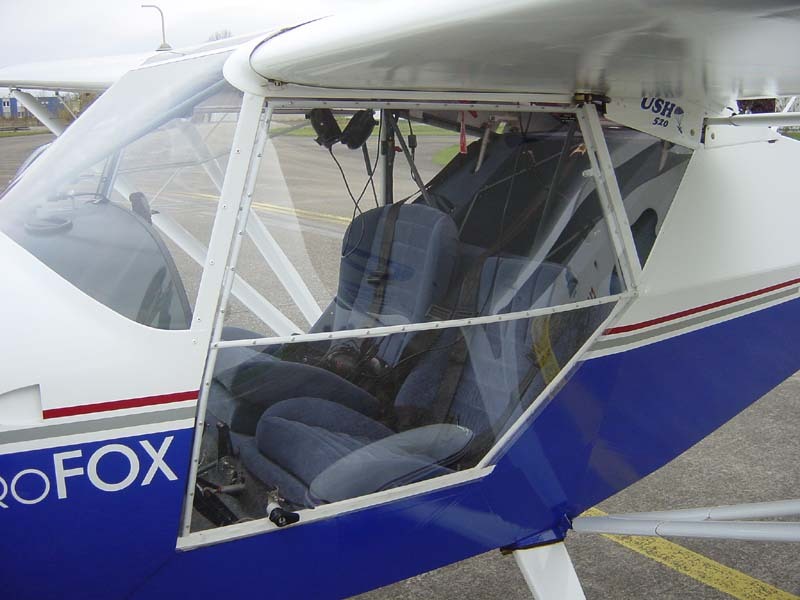 . .
Our Aerotrek instrument panel includes as standard equipment the ATR833-OLED radio, TRT800H Mode-S transponder-encoder, and PM1000II intercom. 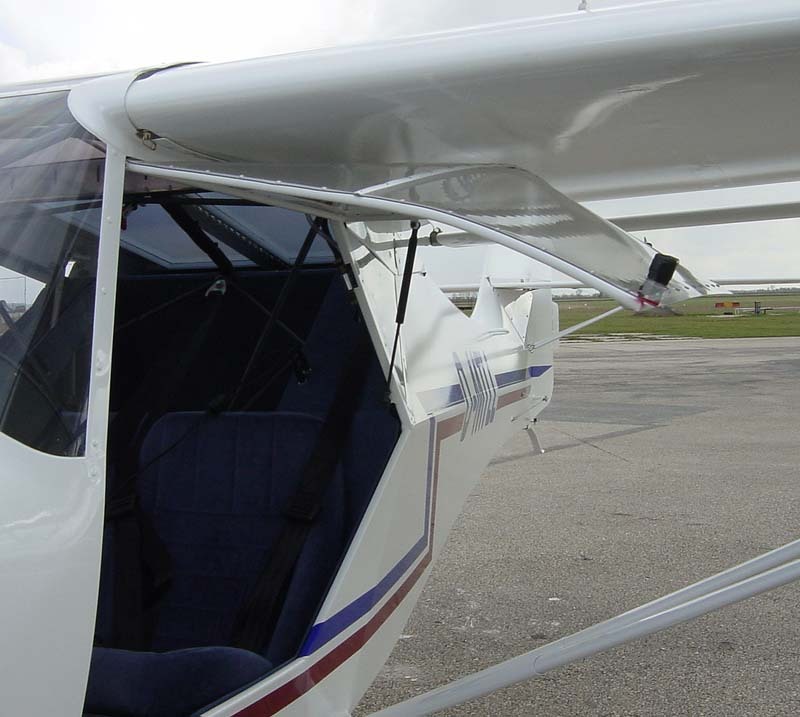 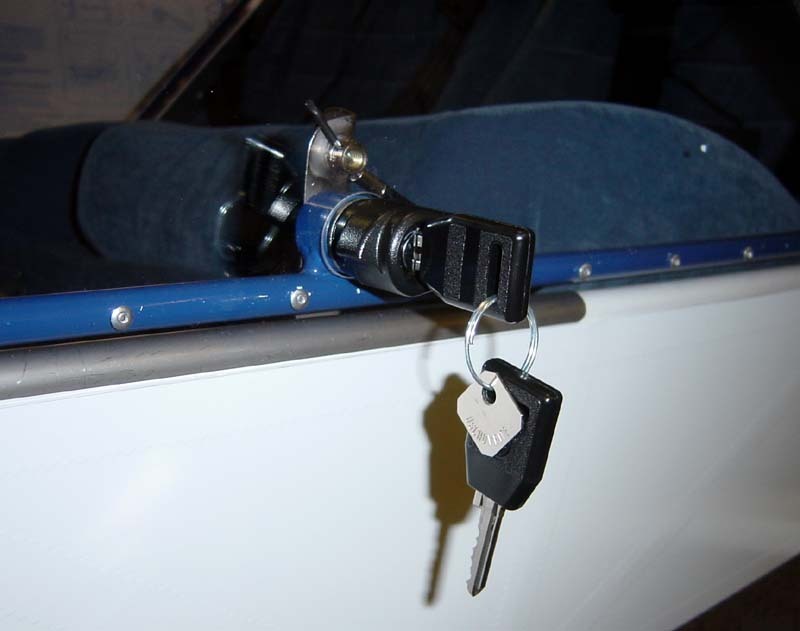 The panel shown below is also equipped with the optional AvMap UltraEFIS and our special iPad mount. 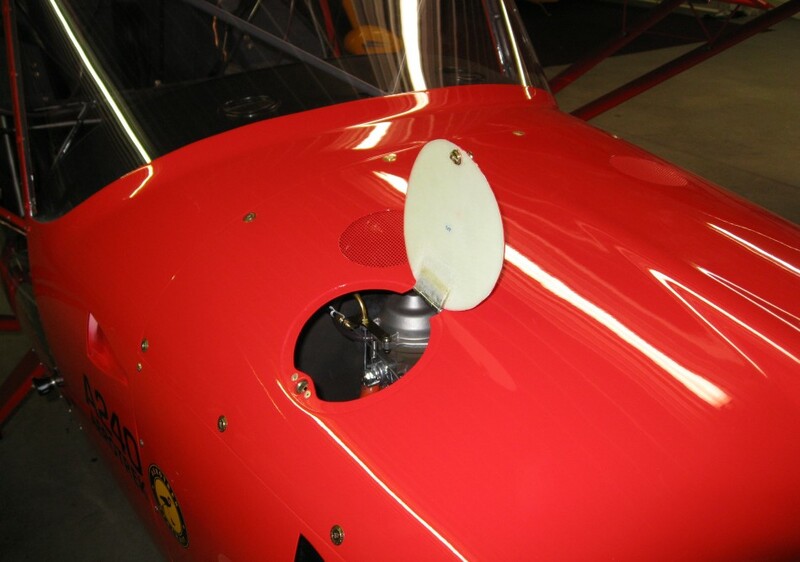 Our instrument panels have been specially designed to be able to use your iPad (from iPad mini up through iPad Pro 10.5). 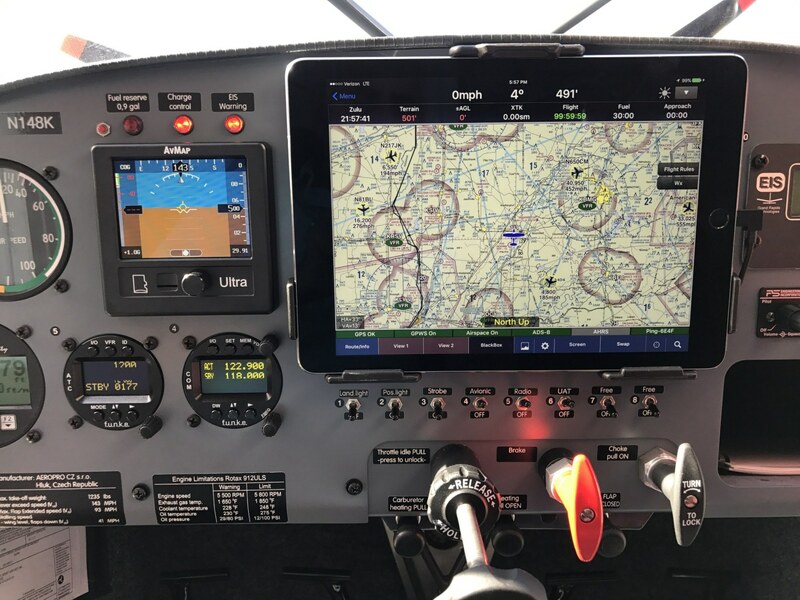 The iPad is now what almost all of our customers want on their panel because it does so much at so little cost and with a large display with great touchscreen. 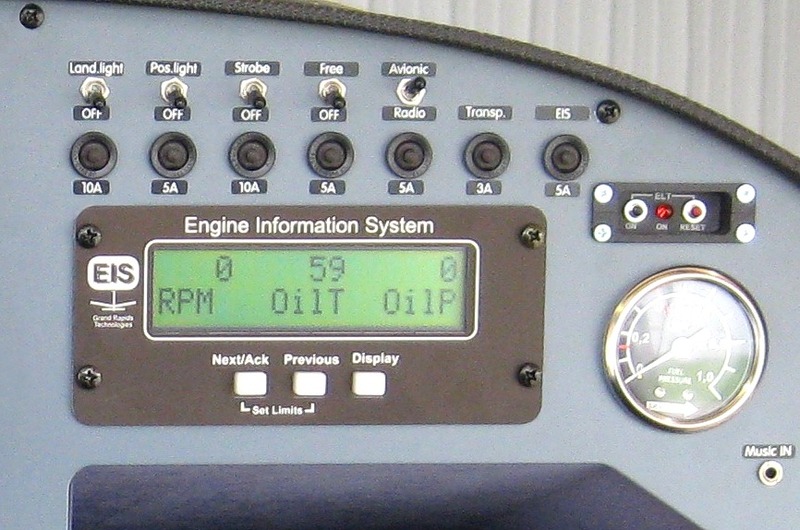 It is also ideal to display aircraft traffic and inflight weather information. 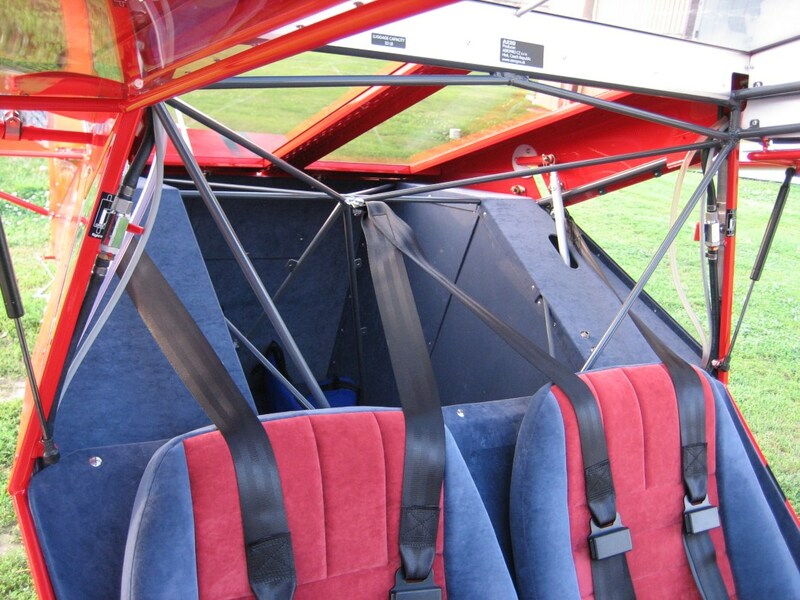 However, we can install a Garmin or AvMap aviation GPS if preferred. 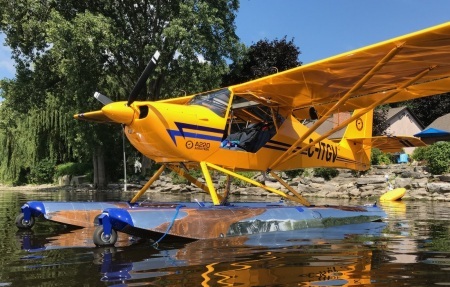 With our optional uAvionix ADS-B In/Out system with dual-channel ADS-B receiver, the aircraft traffic information and FAA weather information is displayed on the iPad (or similar devices) making flying so much easier and safer than ever before.